If you are trying to teach English to small kids, the good news is children are incredibly adapted to learning languages, and pick up new words, phrases and grammar structures easily. The bad news is that kids have a lot of energy and a shorter attention span than adults, so you will struggle to get them to sit and study. However, you can use the kids’ energy to your advantage and engage them with games, songs and activities that will help them learn while having fun. Immerse the kids in the English language. 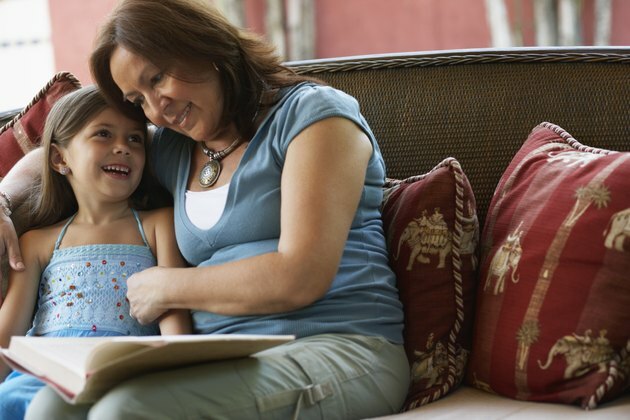 Children have an advantage over adults because they rapidly pick up new words from conversation around them. Create a productive learning environment by exposing kids to English through classroom conversation, age-appropriate DVDs and videos. Use music and songs to help teach small kids English. According to Super Simple Songs: “Young learners pick up vocabulary, grammatical structures and the rhythm of the language simply by doing what they already love to do...sing[ing].” Use songs to teach numbers, the alphabet, body parts and other words requiring memorization. Use motions and gestures during the lesson to reinforce learning. Action further enhances the child’s ability to remember by adding a physical association to the word, and it helps small kids use up energy so they do not get fidgety or distracted. Build an interactive environment for the children. “Transitions Abroad” advises teachers to: “Have them standing up and sitting down, weave games and dramatic play and singing into your lessons. Have the children take turns helping you prepare or carry out the activity or project.” This helps the kids stay focused and offers additional opportunities for language learning as they follow directions, learn the rules for games and communicate about the activities they are doing. Ask the children to take charge by having them lead activities such as Pictionary, charades, and hangman, and matching games to teach grammar, vocabulary and verb tenses. Allowing children to demonstrate their learning will build confidence and give them real-life language skills. Team games build conversational skills as students communicate with each other in the course of the game. Always talk to the kids in English. Give small rewards for effort and accomplishment. Keep structured lessons short. Small kids' do not use perfect grammar in their native language--do not expect them to do so in English.